Stephen Moss is a BAFTA award winning television producer who’s produced some of our most popular natural history programmes such as BBC’s Springwatch, Autumnwatch and Big Cat Diary. He’s also one of the UK’s leading nature writers. As a wildlife television producer Stephen has produced some of our most popular natural history programmes: Springwatch and Autumnwatch (BBC2), Birds Britannia BBC4, Snow Watch for BBC2, Wildest Dreams – a reality show set in Africa and presented by Nick Knowles for BBC2, natural history films for The One Show (BBC1), The Nature of Britain presented by Alan Titchmarsh for BBC1, Birding with Bill Oddie, Bill Oddie Goes Wild, How to Watch Wildlife and the second series of the Big Cat Diaryfrom Kenya’s Masai Mara. In 2012 Stephen joined Bill Oddie on a theatre tour with their show ‘Watch the Birdie’. Stephen Moss is a speaker of note and presents talks on a diverse range of subjects to both specialist and general audiences. During his career as a television producer, Stephen has travelled around the world in search of iconic wildlife such as killer whales in Patagonia and elephants in the Okavango, and he has visited some of the planet’s most extreme wild places. Stephen is one of the UK’s leading nature writers, broadcasters (for both TV and radio) and wildlife television producers. His passion is “to communicate the wonders of the natural world to the widest possible audience”. 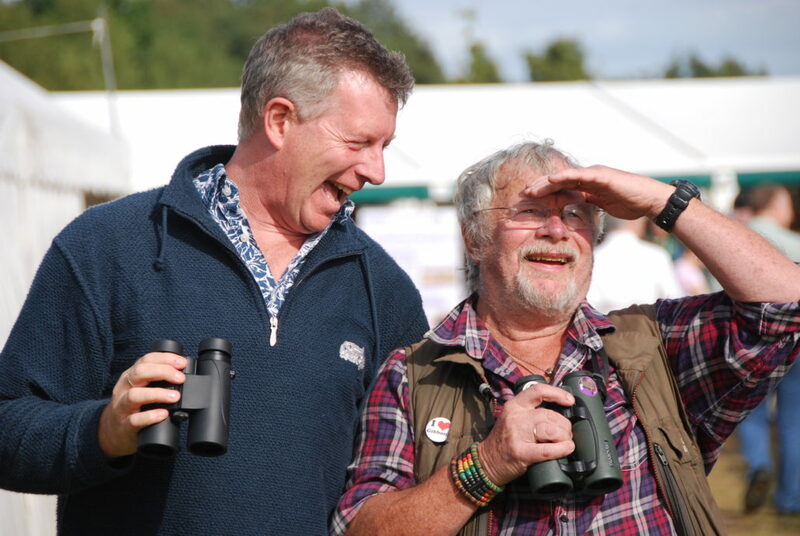 He has worked with some of the top names in wildlife television – Bill Oddie, Chris Packham, Alan Titchmarsh, Kate Humble, Simon King, Jonathan Scott, Miranda Krestovnikoff, George McGavin and Michaela Strachan. Stephen writes a monthly Birdwatch column for The Guardian. He is a natural history author and his latest title “Wild Hares and Hummingbirds” was published in September 2011. For many years Stephen has been a regular on BBC Radio presenting a peak-time series of programmes on British birds and their songs for Radio 4. The final episode in this series; A Guide to Mountain and Moorland Birds, is due to be broadcast in 2012. Stephen has also written several series for Radio 4, including A Swallow’s Journey, narrated by Bill Paterson, which was nominated for a prestigious Sony Radio Award. Stephen is Vice-President of Somerset Wildlife Trust and an Honorary Professor at Nottingham University Business School.